Punxsatawney Phil has spoken and it’s official: Winter is here to stay, at least for another six weeks. While we might not be stoked for the cold weather, there is a plus side to six more weeks of winter – more winter cheese! From our favorite fondue classics, to tangy, warming cheeses, there’s only a few weeks left before these delicious little guys are overshadowed (Groundhog Day joke!) by their fresh, Spring rivals. Alpine styles are a go-to for winter months. It’s not just because they are the best for melting into ooey-gooey fondue (even though they’re just the right texture and flavor for a nutty, savory pot). 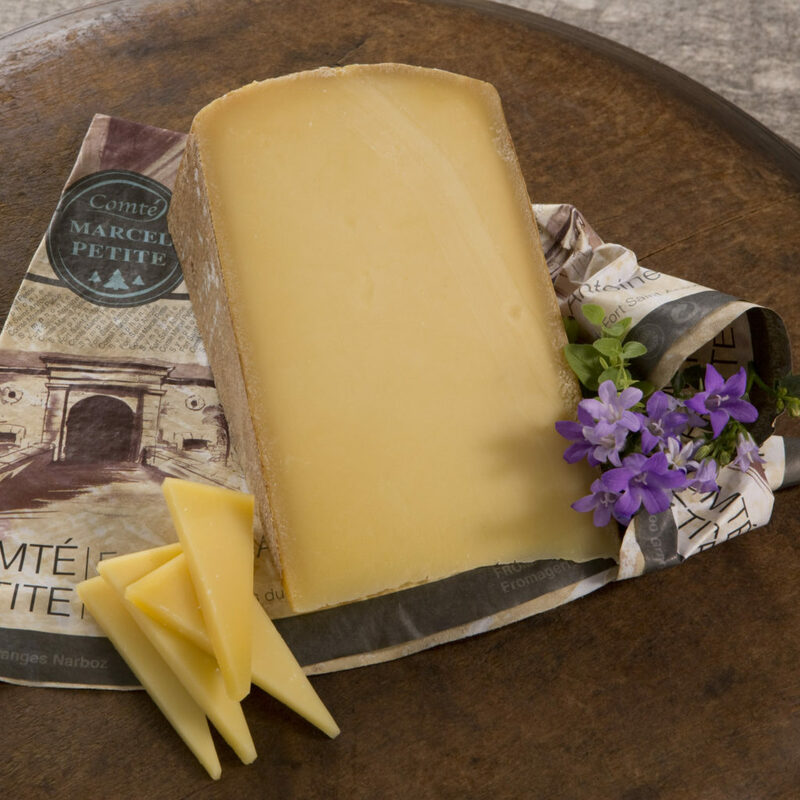 We get our Comte from France’s Jura Mountains, and while it may capture the raw, mountain-pasture fed cow’s milk, it features winter flavors. There’s the sweetness of cooked milk, a bit of stone fruit (like dried apricots that pair oh so nicely), and the quiet nuttiness of brown butter. If you’re not feeling fondue, just slice this Comte thin and melt over winter root vegetables. Comfort food to the max! One of the things we love about winter foods is the inclusion of chocolate. Dark chocolates, nutty caramels, they’re all delicious and simply perfect for the winter months. But what about a cheese to go along with these succulent sweets? Blue cheese is the way to go, and nothing is better than Bayley Hazen Blue. 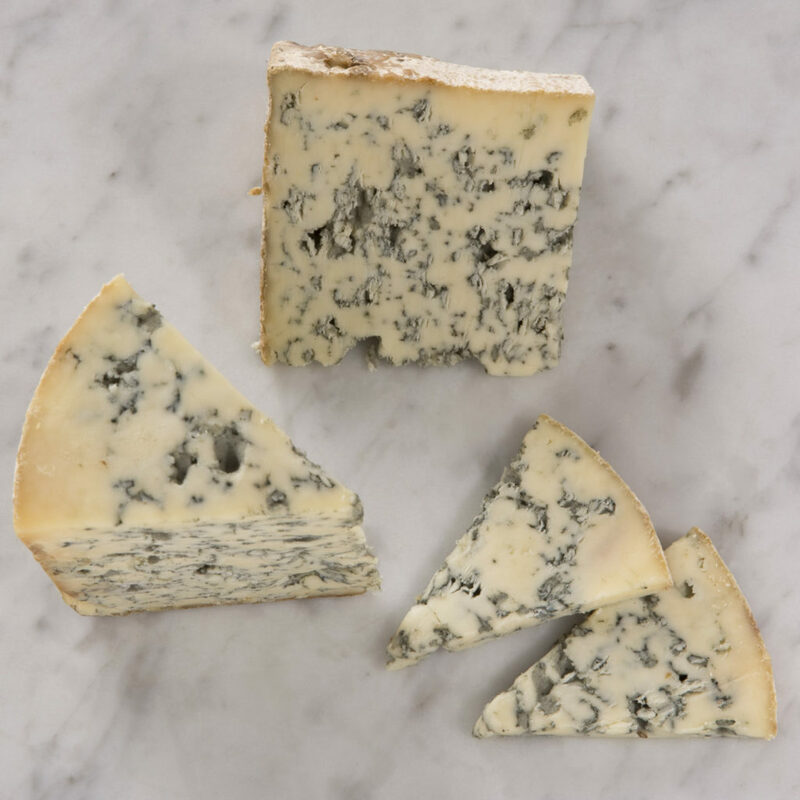 The paste is a bit drier and denser than your typical English Stilton, but it’s the bold flavors of cocoa, roasted hazelnuts, and licorice that shine in this blue cheese. Add a bar of dark chocolate, and you’ll have a wintery dessert you’ll be craving mid-summer. 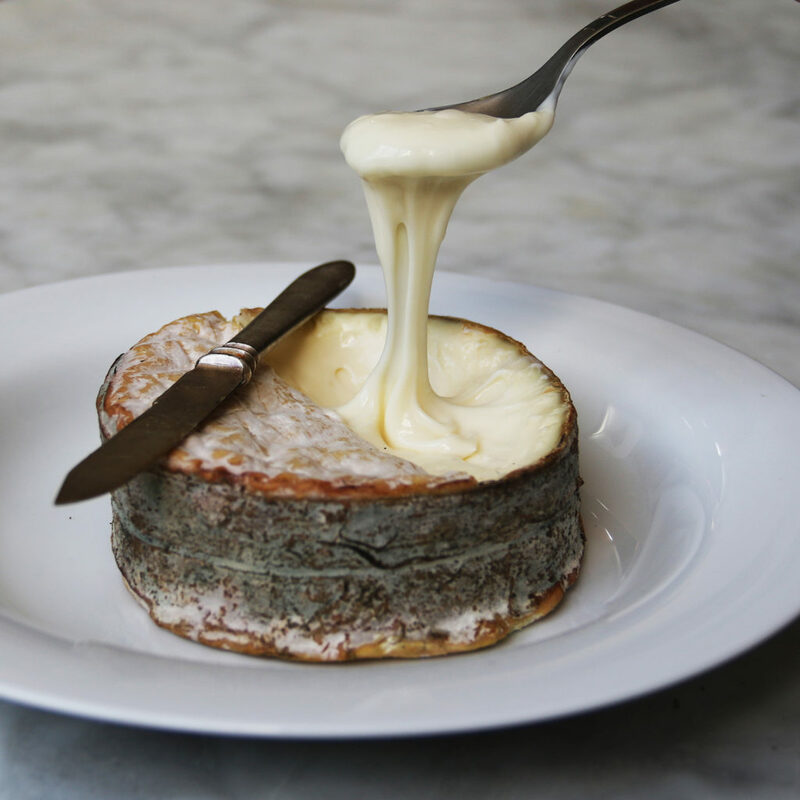 It’s not just that the downy, tender rind reminds us of a field of freshly fallen snow – it does, of course. But we’re more interested in the straw-colored paste within. Hints of buttered toast are the first thing to hit your palate, totally reminding us of the cold, crisp breakfasts of winter days. After the buttered toast melts away, it’s the bold and beautiful flavors of sauteed mushrooms that stand out on the palate. Maybe cozy up with this little wheel by the fire, with a big glass of bold Bordeaux. There’s something kind of amazing about cheese that you can pair a toasty lager or rich stout with, especially during the winter. 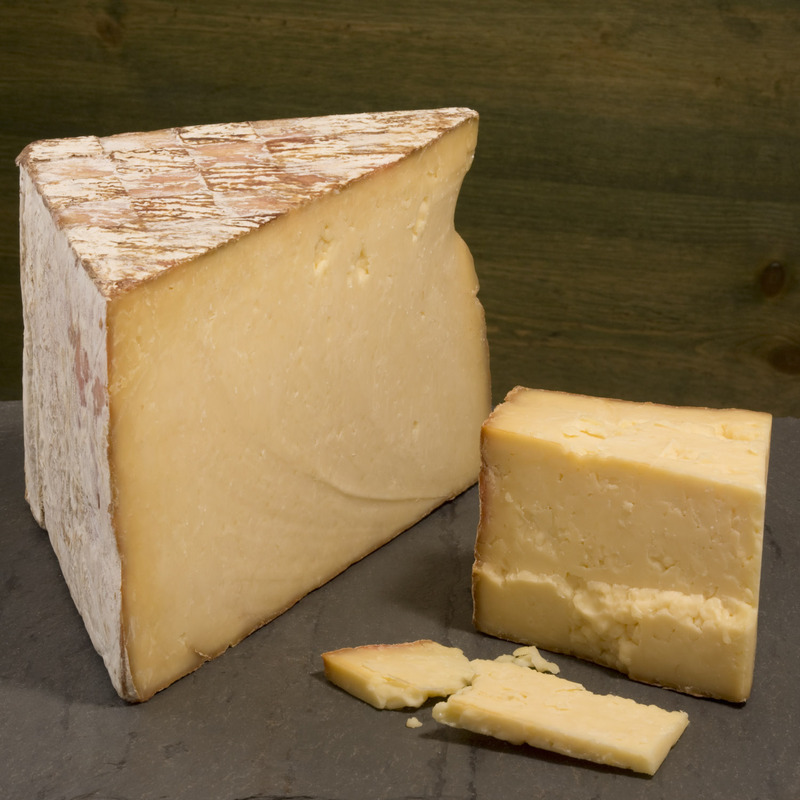 Tumbleweed is that cheese – a cross between cheddar and French Cantal, it is filled with brown butter flavors, with a hint of tartness and fruitiness. In the winter months, the toastiness combines with an earthy flavor, creating something warm and rustic, especially when paired with a beer. The perfect combo to ride out these short remaining chilly months, if we do say so ourselves. 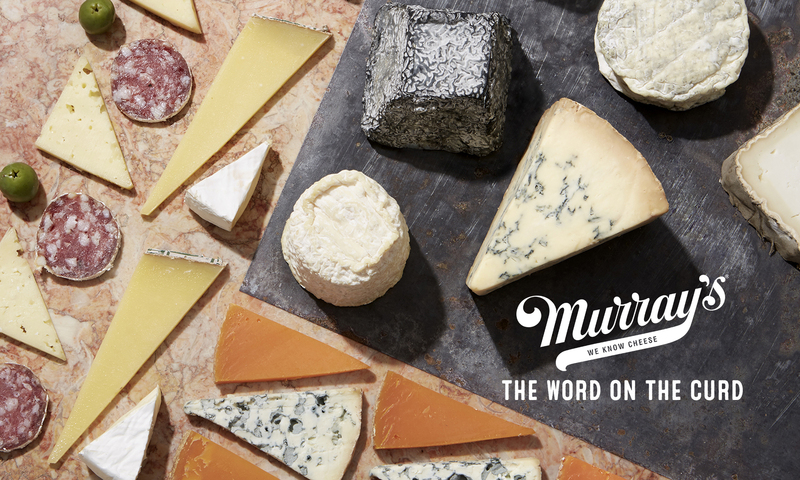 There honestly isn’t a comfier snack than a wheel of Murray’s own Greensward. 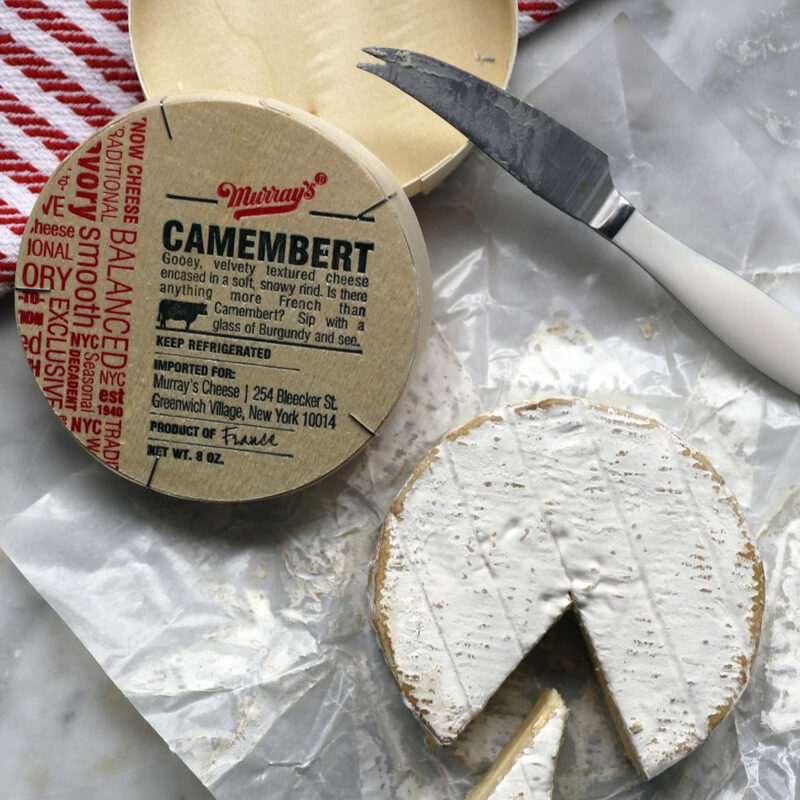 Slice off the top rind, and the paste inside is creamy and beautiful – a fondue minus the heat. A scoop – either with a cracker, or a spoon if you’re feeling no-frills about it – tastes of a snowy winter forest populated by pines, and freshly fried bacon. The taste is oh so much bigger than this small wheel will imply, and will keep those memories of winter alive even as the weather starts to warm.